#InfluenceTheElection is a nonpartisan initiative that aims to increase midterm voter turnout in young people through social coverage. Having an audience online, big or small, means you have influence. Just 39,000 votes in three states would have changed the result of the presidential election. That’s not a lot – there are 54,251 seats in Yankee Stadium and many of us are able to reach more than that with one single Instagram post. 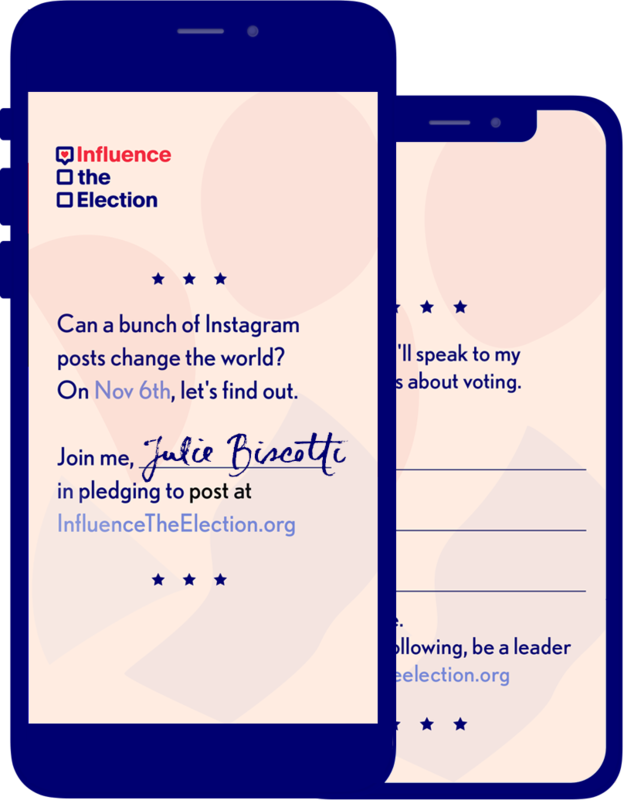 Anyone can connect their account to pledge that they will #InfluenceTheElection. In connecting yours you are expressing your commitment to posting about the importance of the midterms the day before the vote. The vote is November 6th and you will post on November 5th. But don't worry, we will remind you. You will also receive customized Instagram Stories leading up to these dates. These will talk about how many followers you could influence directly, or ask you to tag other accounts to join in pledging their following. You can also post your own content if you prefer: all you are committing to is that you will post. In a world where one celebrity's Instagram post can create an unforeseen spike in voter registrations, now more than ever it is important to realize the social change possible from having a social following. #InfluenceTheElection was developed and is powered by Fohr.